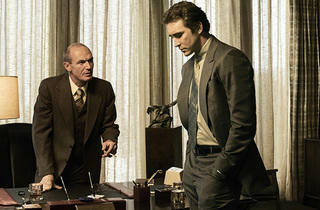 Premieres Sunday, June 1 at 9pm on AMC. 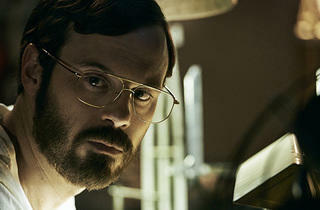 It's no secret that AMC is in need of new dramatic hit. 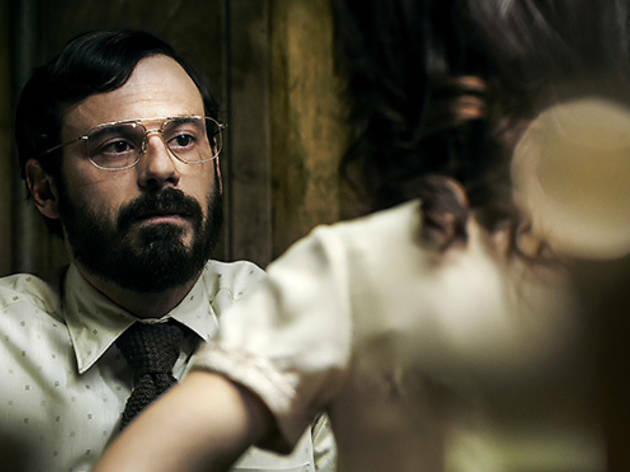 With Breaking Bad gone and Mad Men on its way out, the zombies of The Walking Dead can only keep the network afloat for so long. 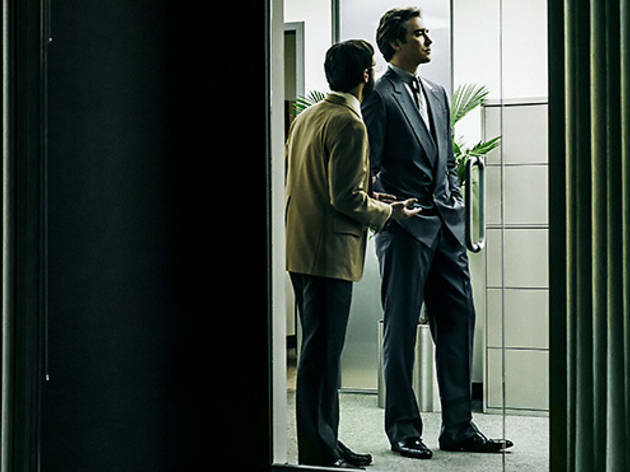 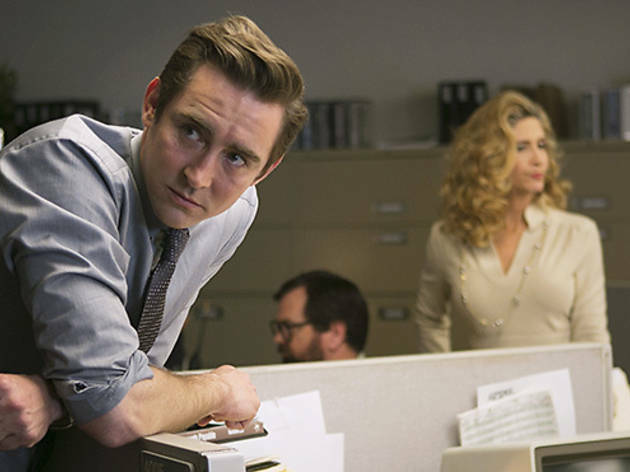 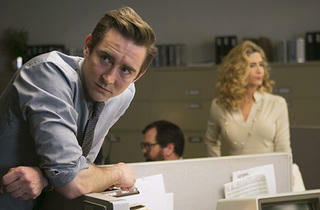 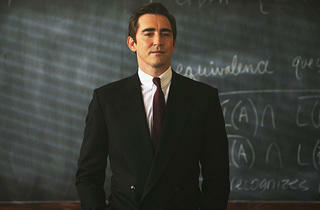 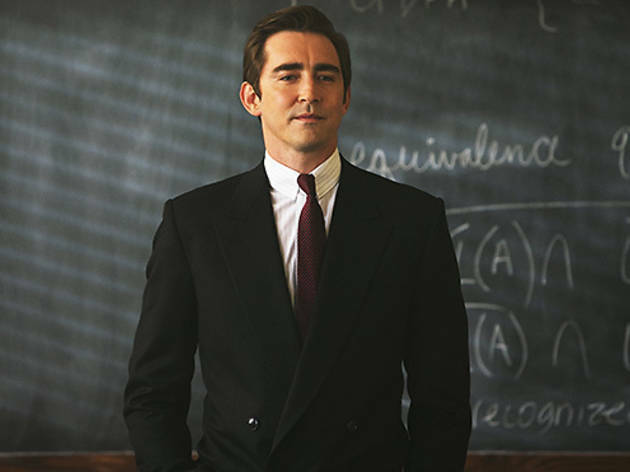 With Halt and Catch Fire, the cable channel tries to recapture some of its prestige-drama glory by combining elements from its biggest successes. 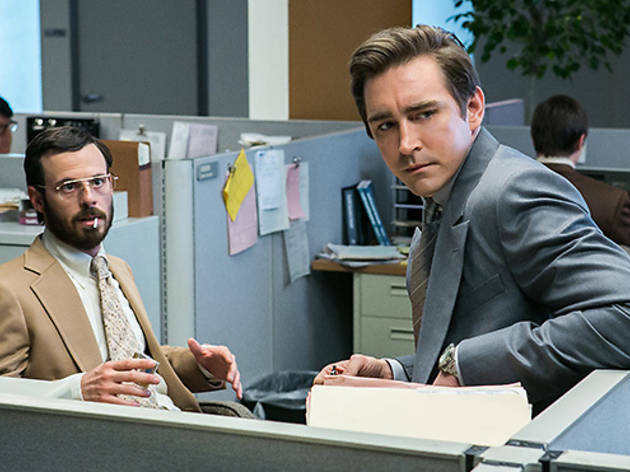 In early 1980s Texas, just as the personal computing boom is catching fire, former IBM employee Joe MacMillan (Lee Pace) has an intuitive vision of what computers can and will become. 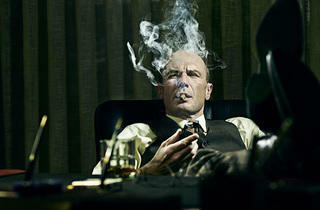 Dogged, calculating and ruthless, Joe embarks on a complex mission to make his dream come to life. 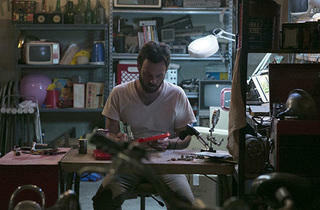 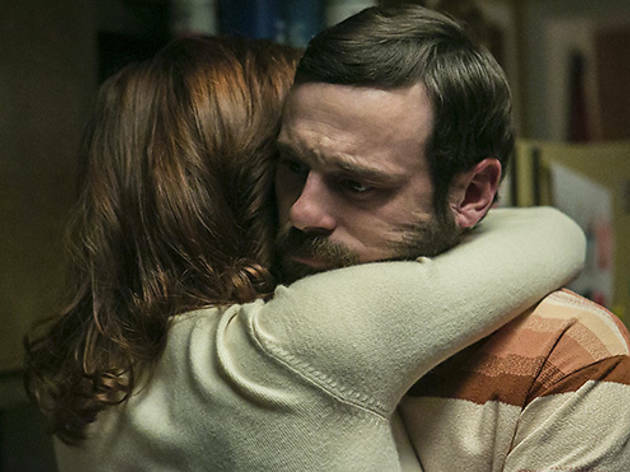 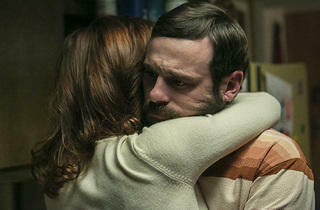 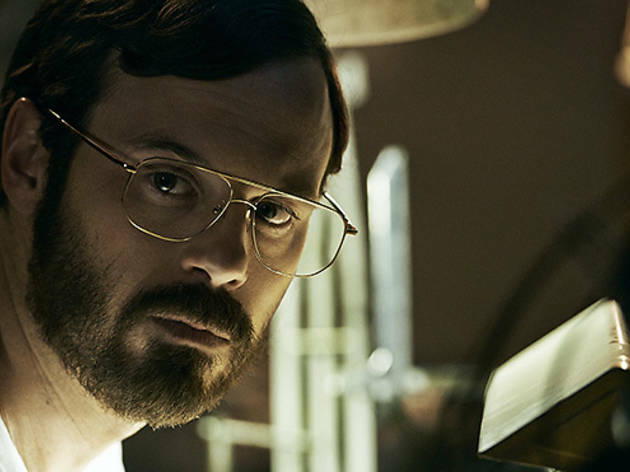 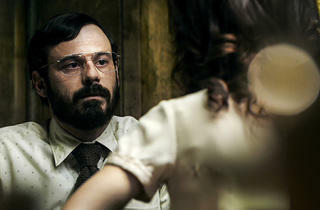 He gets a job at a small company, Cardiff Electric, where he seeks to recruit Gordon Clark (Scoot McNairy). 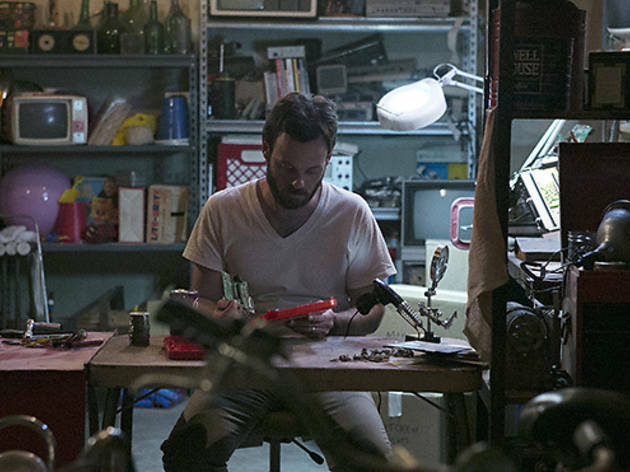 Run down and uninspired, Gordon is sleepwalking through his job and home life after he and his wife Donna (Kerry Bishé) put everything they had into attempting to build a revolutionary computer that failed. 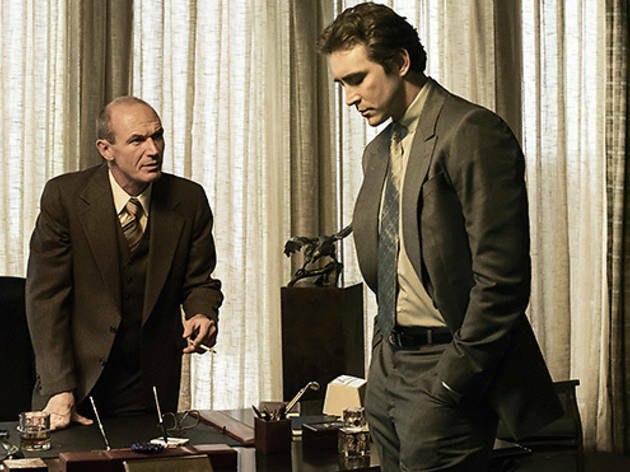 Joe tries to appeal to Gordon's ambition by enlisting him to help reverse engineer the chip that makes IBM computers unique, an act that's illegal and could put both of their jobs at risk. 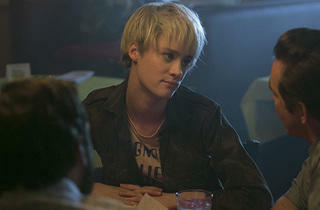 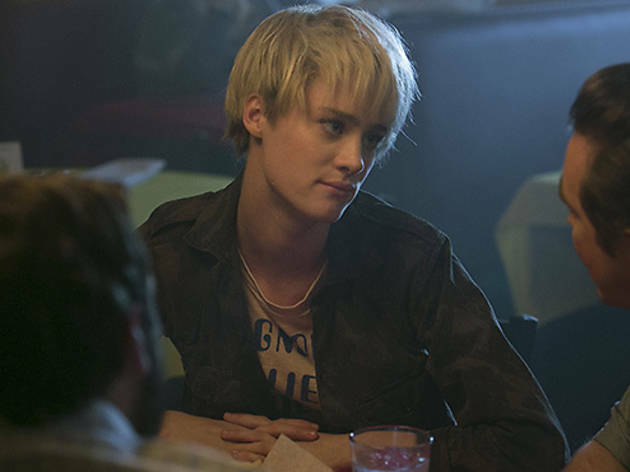 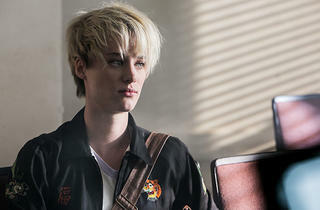 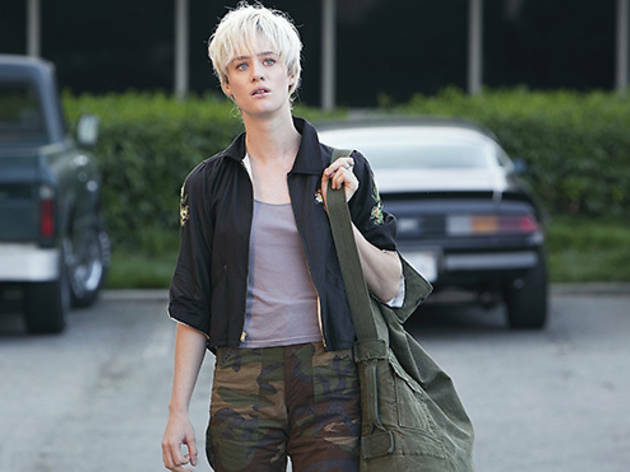 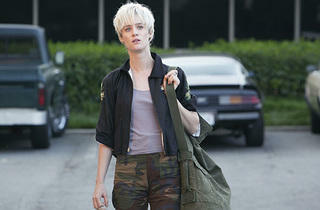 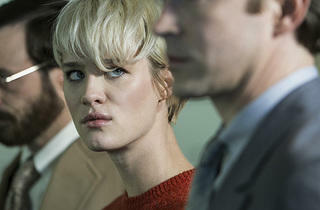 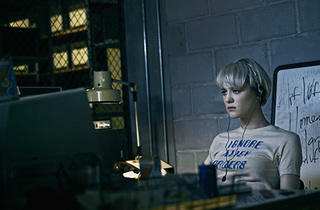 Joe also discovers Cameron (Mackenzie Davis), a computing prodigy who joins their rogue project. 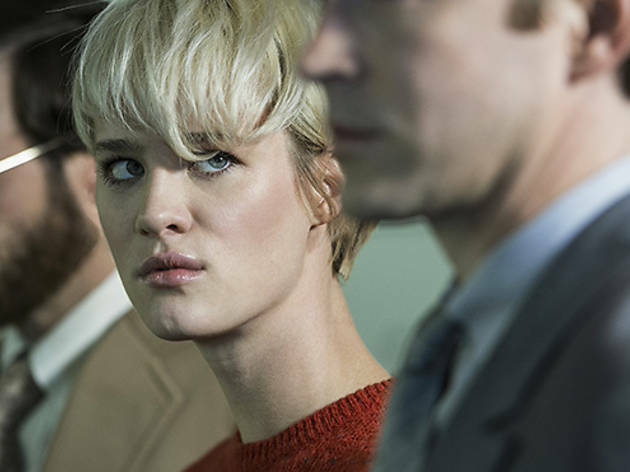 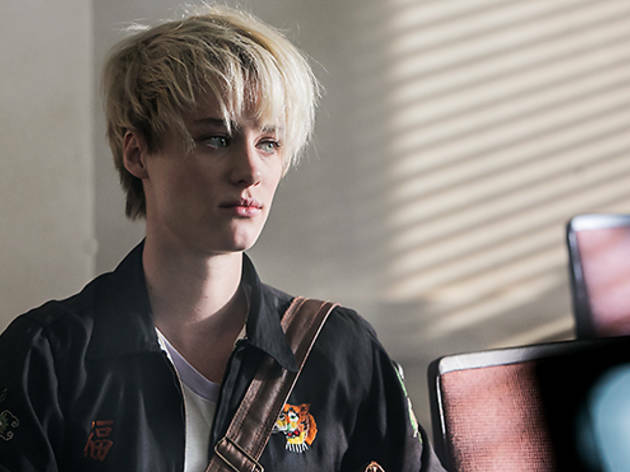 With only a single episode to review, it's difficult to ascertain how well Halt and Catch Fire will play out over time, but the pilot shows a lot of promise. 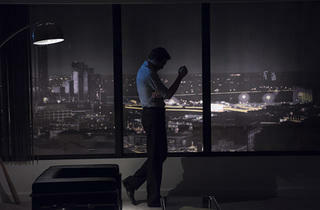 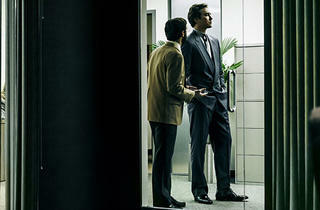 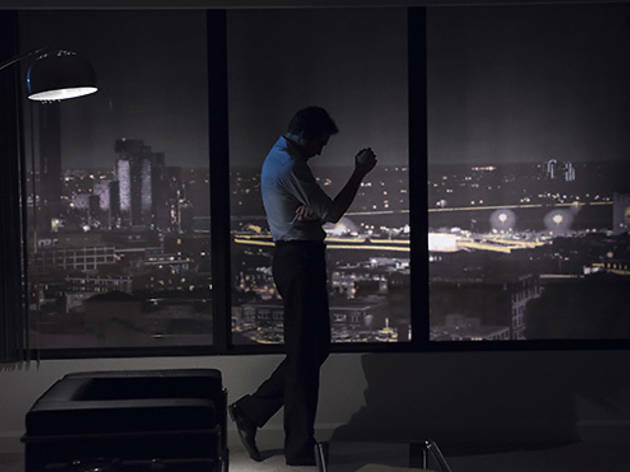 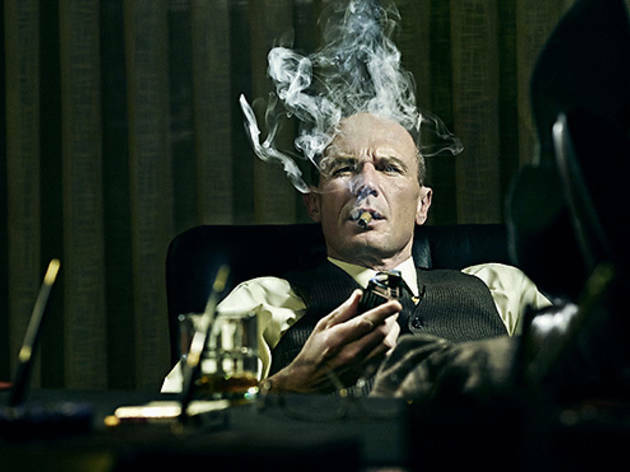 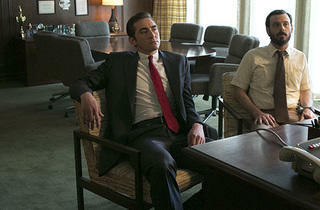 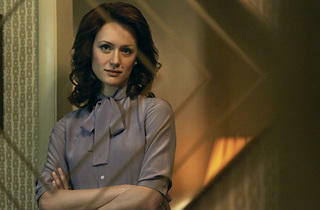 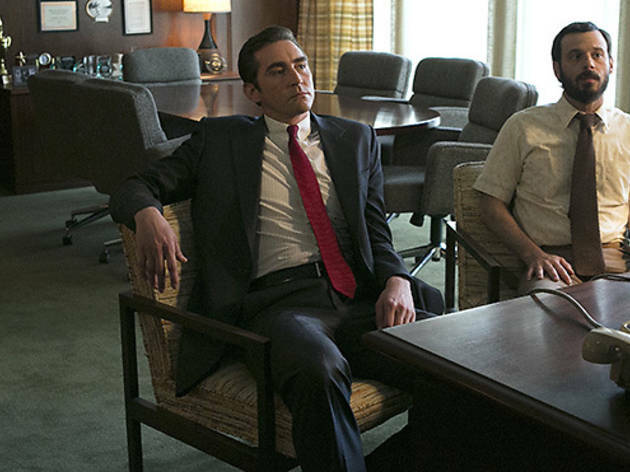 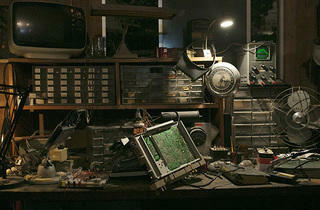 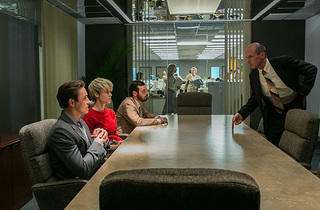 Like Mad Men, the show takes full advantage of its period setting to create to a lush and moody visual presence. 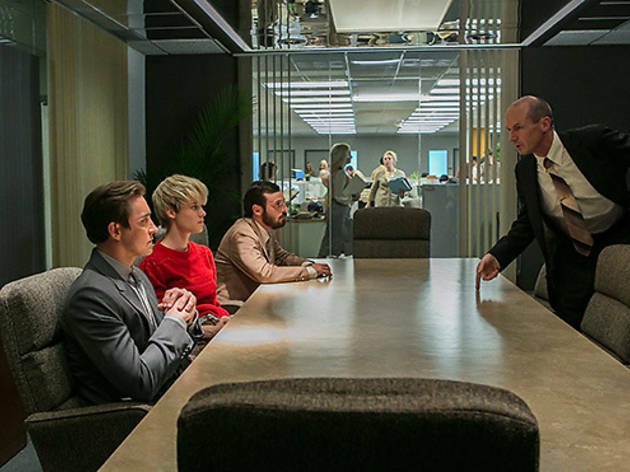 Like that '60s-set drama, it also seeks to illustrate the roles of women in the male-dominated world of technology, with Cameron and Donna delivering differing perspectives. 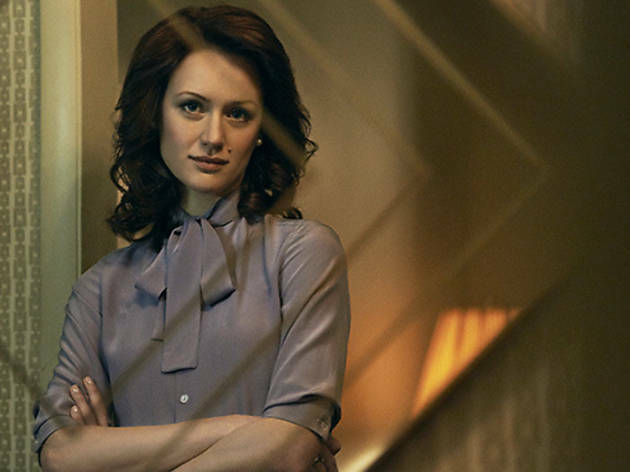 Neither lady gets a lot of screen-time in the opening episode, but they're both fascinating characters imbued with strength from Davis and Bishé. 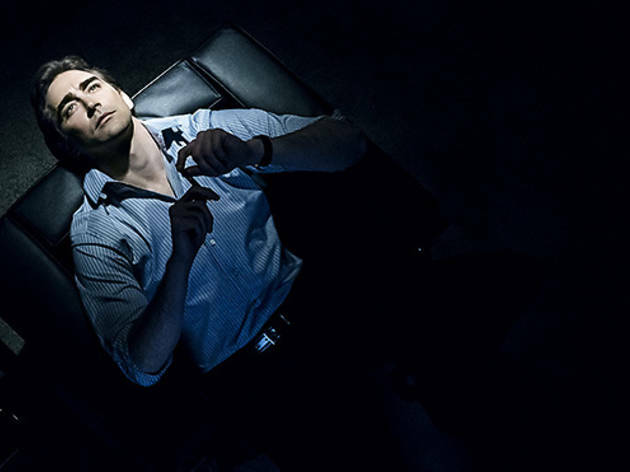 The series also borrows from Breaking Bad, with Gordon willing to risk his family's well-being and go against his wife's wishes accomplish his personally fulfilling quest to create a new machine. 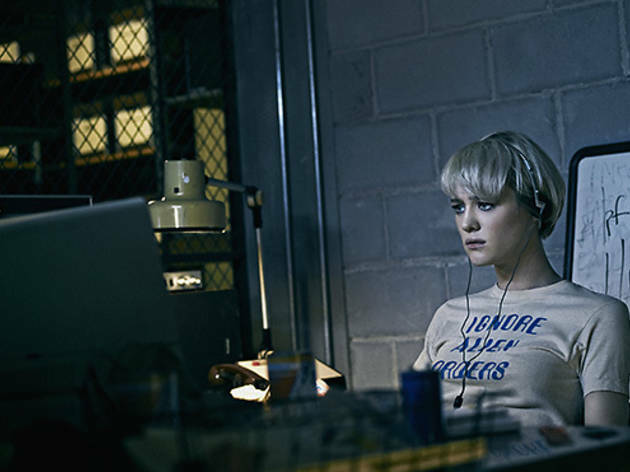 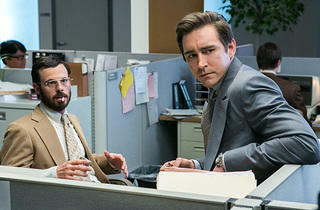 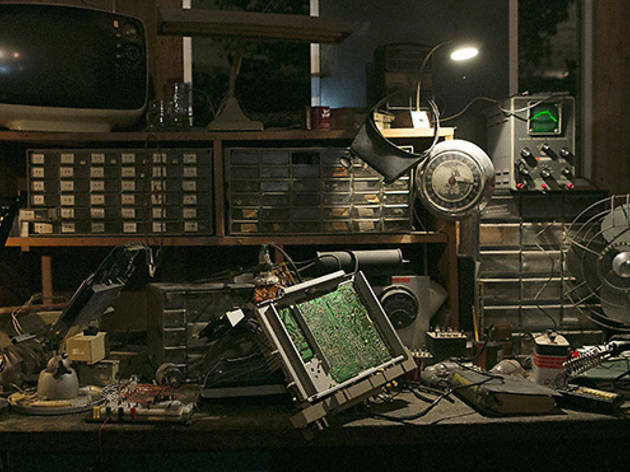 Well-acted, visually striking, with an engrossing story, Halt and Catch Fire is one of the most promising dramas that AMC has delivered in recent years.